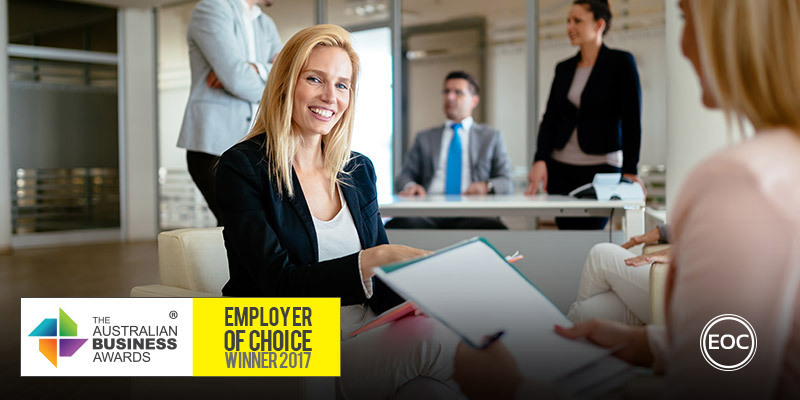 Amicus has been recognised as an Employer of Choice in The Australian Business Awards 2017. Amicus is a small to medium enterprise with 3 offices across the eastern seaboard of Australia, employing approximately 70 staff, with aligned international partnerships. Amicus provides a fully integrated 360 degree solution to commercial property; workplace design, office fit out and maintenance, and ongoing facility requirements. Amicus are growing rapidly offering a comprehensive approach to organisational transformations for clients who want to improve the performance of their organisations through the best “living office” situations available. Aiming to ensure that clients are aware of the huge opportunity for company culture and behavioural change when a physical change such as an office move or refurbishment occurs. Amicus take the time to understand a company’s DNA and their drivers for change before forming the fit out brief. Amicus has developed relationships with partners internationally and are currently about to launch the United Workplace which is a collaboration with aligned partners in the UK. Activity Based Working ABW is a key characteristic of Amicus’ organisational culture and working environment. A philosophy that when organisations change the physical spaces in which their employees work, they also introduce change in culture, processes and technology. ABW is a strategy for ensuring these elements are working in harmony and providing the organisation and its employees with an agile workplace platform for future growth. Development, both professional and personal is very important to Amicus. Amicus applies a holistic approach to education, training and development. Adopting an approach that revolves around the ‘Amicus Conversations’ guide to ensure the employee experience is individually focused. Monthly themed conversations relating to goal setting, reviewing and feedback channels to ensure personal and professional development. These developmental conversations are then integrated into internal company wide programs and talent review initiatives. A strong focus by Amicus is on wellbeing and a positive work culture. Amicus have a developed a wellbeing program which includes external speakers on a variety of topics from diet, exercise, sleep as well as more sensitive subjects such as bereavement. As part of this philosophy management provide in-house yoga sessions, participate in office gym challenges, enter fun runs and/or walks to aid fitness and foster team bonding.